cast of thousands | Rantings from a bored mind. January has seemed to last for ever. I suppose this has something to do with the fact that I was last paid on 23rd December, which by the time I get paid next Monday (31st) will be nearly 6 weeks ago. I was paid before Christmas, so I had that and New year to go through, which seems like a hell of a long time ago now. We have also been up to Worcester for a weekend to see some friends. I am sure that we have done more but I can’t remember it. I know that I have spent a lot of time reading, which is why I have read 5 books this month, including two of the George RR Martin Song Of Ice and Fire series. That is 1600 pages right there. (Still have 3 more to go) If I carry on at this rate I should clear my book shelves by June. Tonight though I am going to my first gig of the year, Reel Big Fish at the Pyramids Centre in Portsmouth, which is probably the worst venue in the country. Because it is next to a heated swimming pool it smells of Chlorine and is about 50 degrees. The gig should be good though, and I am going with Adrian who has come back from South Korea for a two week holiday before he starts teaching there again. I’s no wonder January has Blue Monday, the most depressing day of the year. It’s because like me, most people want the month to end. 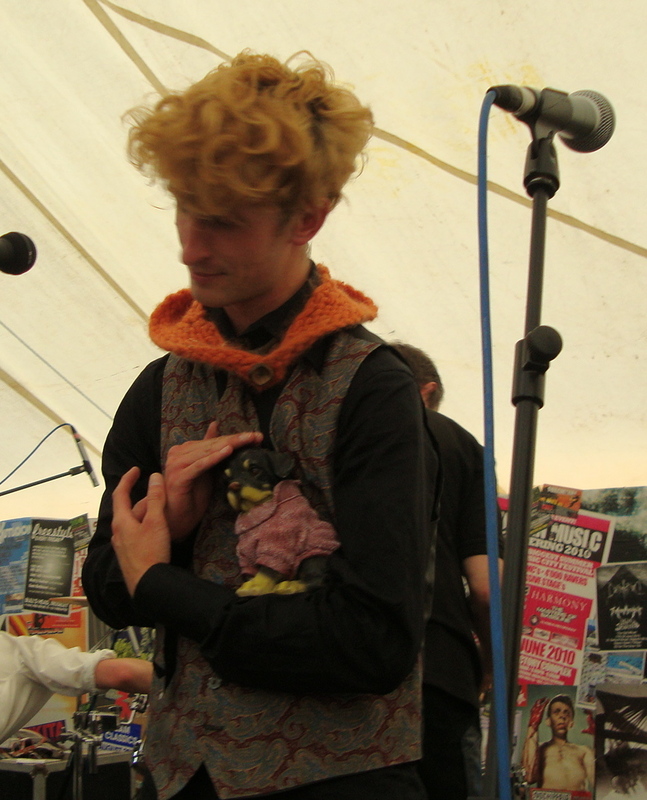 On the way back from Scotland we popped in to s small 2 day Festival in Cheltenham with some really good friends and a small Plastic dog. For the bargain price of £50 we got 2 days of camping and some excellent but small bands, with the headliners being Frank Turner and The Subways. Highlights for me were The Dawn Chorus with Frank Turner for the encore, Lo-Fi Culture Scene and Skeleton and the Empty Pockets. To be quite honest, this festival wasn’t really about the music, it was about hanging out with my really good friends, making each other laugh and getting Tacky photographed with some bands. 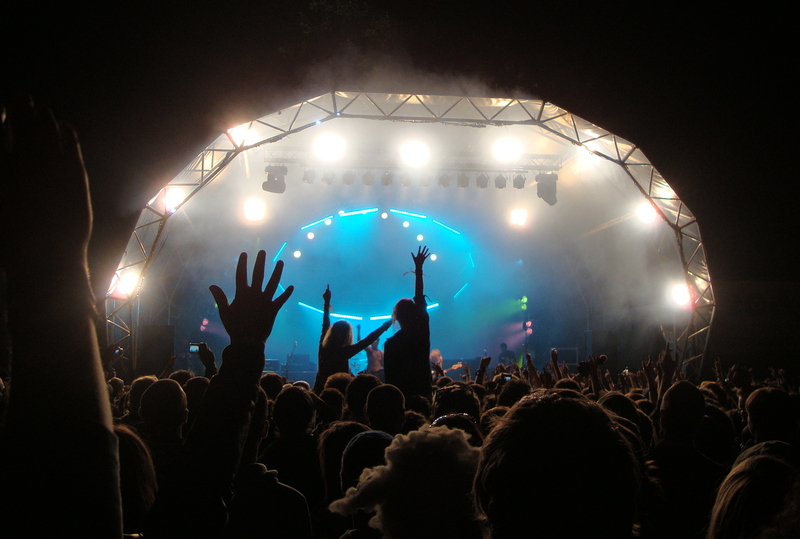 Categories : cast of thousands, Festival, Gigs, Where's Tacky? Midlake are a strange band to try and sum up. I like The Trials of Van Occupanther album, but I can’t think why. Its not like I can actually remember any of the songs, which is why I had a hard time at the Wedgewood Rooms when I went to see them last night. They have recently been voted the best live act at the Mojo awards, beating Kasabian, Rufus Wainwright, the Arctic Monkeys and Florence and the Machine to the title, and they really were excellent, I can’t think of any other bands that would have a flute duet in one of their songs. What makes this award even better is that its voted for by the public, and unlike the NME, Mojo actually knows what it is talking about, being a proper music magazine. Anyway, I digress. Excellent live they certainly are, and they seem to like Portsmouth, reeling off stories about the last time they were down this way, visiting the Submarine Museum. 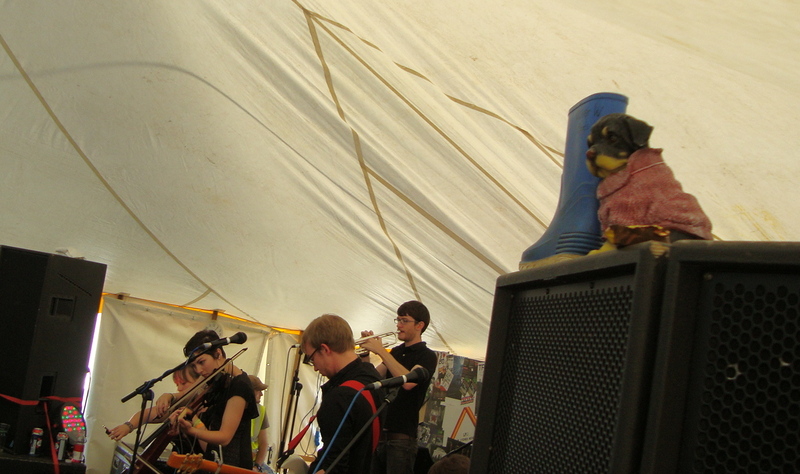 They also thought that their set was better than the one that they played at Glastonbury last week, which is nice. I will have to get their new album, as what they played last night was quite spectacular. I have been neglecting this blog for a while and concentrating on my photo blog, which I really enjoy doing. So to kick off this year, I thought that I would do a kind of review of the year for 2009. I don’t think I am doing a Spex awar this year, mainly because I can’t be bothered. I am getting Lazy I think. January started off with New Year in the most random pub in the world and a trip to a brewery for May-Z’s birthday, and then not a great deal happened, until February when I started going to Gigs again, Iglu and Hartley was the first of the year. In March, not a lot happened again, but I saw a couple more bands. April was great though, I met the wonderful H and we had a lot of fun. I also formed the Victorian Gentlemans Amaretto Drinking Club (Fingers Up) in a pub in Worcester and went to Thorpe Park for the first time that year. May was pretty good, my birthday was superb, we had a lot of fun, and then I went on Safari, this took me until mid June and was one of the most amazing things that I have ever done. June came and went with more gigs and a trip to the Isle of Wight. July flew past with Mark Cavendish winning 6 stages of the Tour De France and the Ashes starting. August saw the completion of the Ashes, with England victorious, me failing to walk the Southdowns Way because of injury. September included Bestival, which was superb, (Elbow were sublime) and Love Albert Road Day which was good too. October was my month of blogging and to be honest it is some of the worst things ever written, I did start taking a lot of photos though. 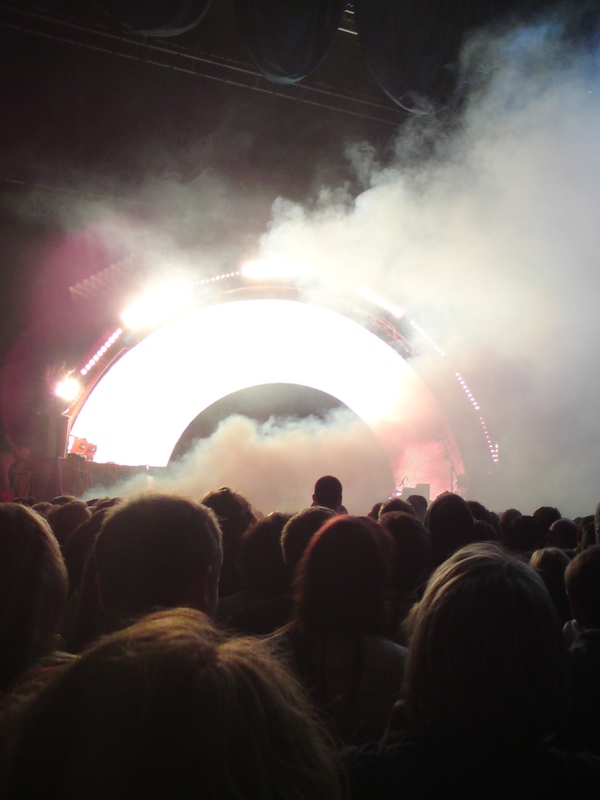 In November I saw the Flaming Lips, which was about the only thing I did that month. December flew past, with ATP and christmas, and I cooked for H on New Years Eve. All in all, not a bad year. Bimbo came down on friday night clutching here ticket for the Flaming Lips at Porstmouth Guildhall. The three of us got the bus down to the venue which is an adventure for me, and went to the bar, where they were selling 2 pint glasses of beer. It was amazing, much like dirnking out of a vase, it also made me look much smaller than I actually am. A bit like a hobbit from the first Lord of The Rings Film. Anyway, the first band came on, Star Death and the White Dwarves to play their almost prog rock fuzz stylings. They played and had smoke machines going, and then the fire alarms went off. 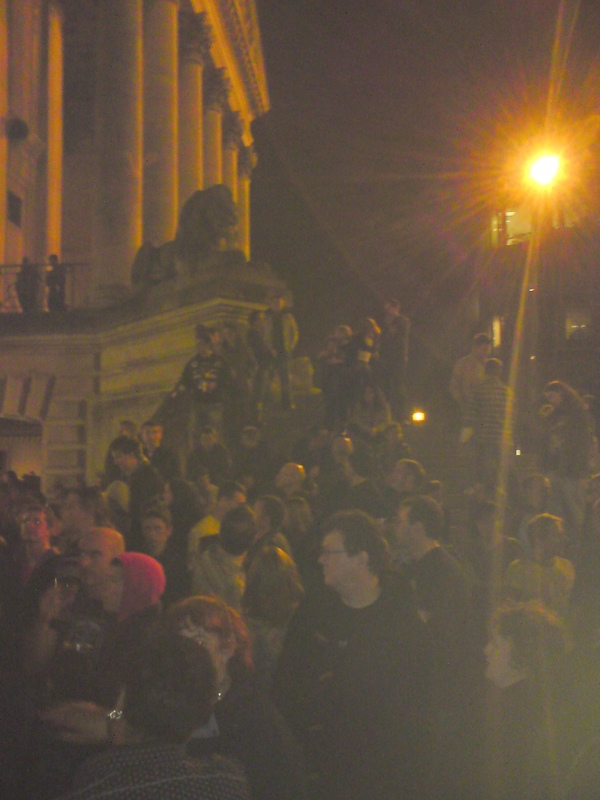 Cue evacuation of the venue, so everyone was standing out the front of the guildhall, cold with their massive beers. For 20 minutes we were outside, but the atmosphere was good, so it didn’t really matter. Eventually heading back in for the remainder of the set via the bar, they played their last song, a cover of Borderline by Madonna, which actually turned out to be their best tune. 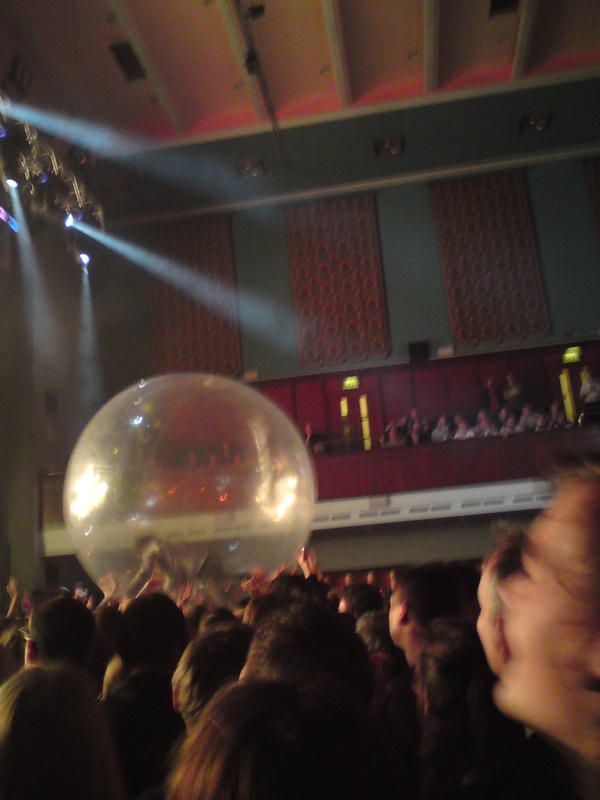 After a bit of faffing about and sound checking (by the band), Lead singer Wayne Coyne made a safety announcement that he would soon be entering the crowd in a zorb. When I say entereing, I mean rolling around on top of. He wasn’t wrong, he did, it looked amazing fun. 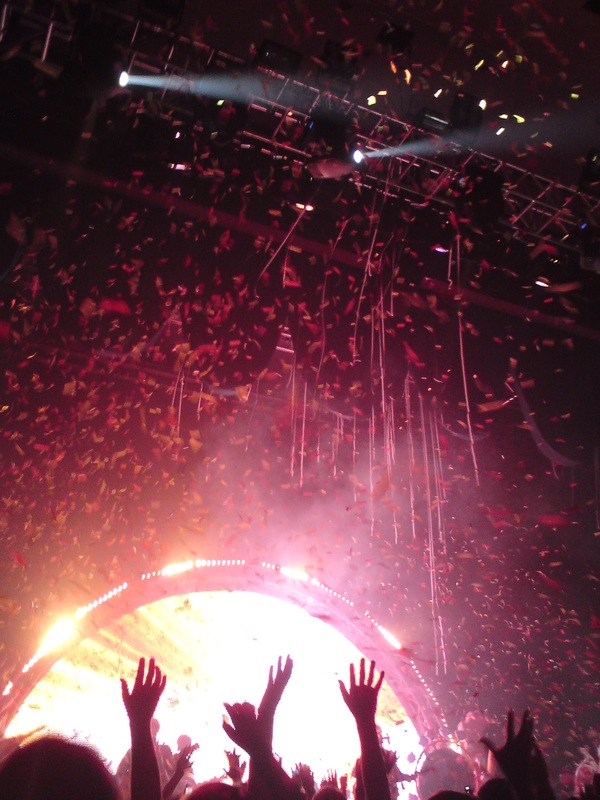 The rest of the band had entered the stage through the light wall at the back and then the balloons and confetti started as they went into Race for the Prize. This made an already good atmosphere even better as everybody struggeled to keep bits of paper out of their drinks. The whole show was amazing, they had got people earlier and dressed them up as rabbits to dance on stage, and had people dressed as caterpillars a nd turtles. Wayne is a natural frontman and knows how to work the crowd so there were numerous sing-a-long sections. Unfortunately towards the end someone had a mild epileptic seizure at the front and the show had to be stopped for a while, but all the time the band were giving us updates on how they were. When the Flips came back on there was only time for one more song, which fortunately for me was Do you Realise, which is my favourite song of theirs, and the crowd went wild. Anyway, an amazing night was had by all, and I have been to a lot of gigs, but I think this is the best that I have ever been to. I certainly can’t think of any that have bene more spectacular. Sorry the pictures aren’t great but they were taken on my phone. On Saturday night H and I drove up to Thame in Oxford to have a dinner party with the Smyles’ and their friends Hayley and Aiden. They had pulled out all the stops and the food was beautiful with wine matched to each of the 4 courses. First up was a Pumpkin and Chorizo soup, followed by a Game Stew (Pigeon, Partridge and Pheasant) with seasonal vegetables. Then there was either a cheesecake or a rhubarb trifle, or if you are me, both and then a cheese course. The conversation was good, but dominated by both Formula 1 (Aiden works for Brawn GP, so is technically part world champion) and Babies, which as H is a midwife was her fault. We eventually went to bed at a very tired 3am. The next morning we had a leisurely breakfast and some cheesecake before H and I went to the Living Rainforest again. When we had got our ticket last time it came with a free years pass, so we had a look around, and I took loads of photo’s of orchids and Butterflies, which can be seen on Flicker, just click the side bar you know what to do.